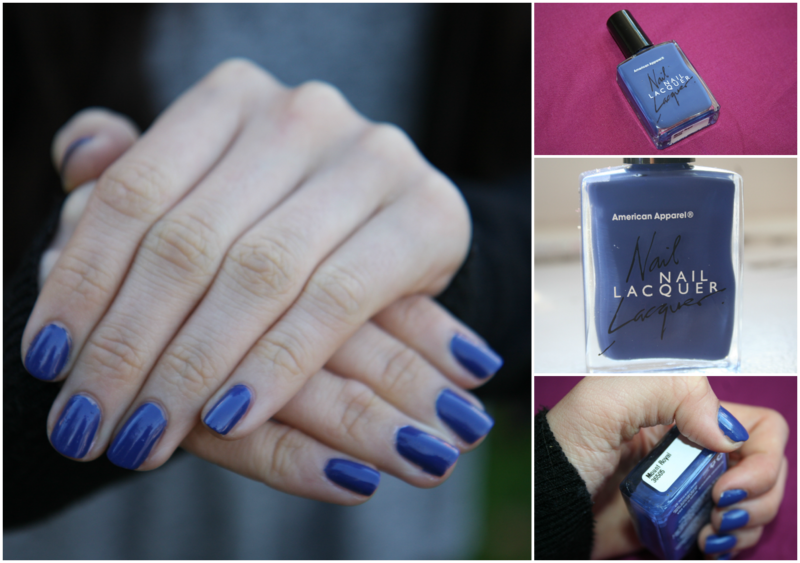 In yesterday's outfit post I mentioned how thanks to Lily of etcllymlrs I managed to snap up an amazing deal - a nail polish worth £9, from American Apparel, for absolutely free. Not even a mere penny was spent on this purchase, leaving me incredibly satisfied even before trying it out. I took off my previous nail polish quickly using my (absolute favourite) Bourjois Magic nail polish remover and painted on a smooth layer of base/top coat 2 in 1 (from Sally Hansen, always.) You all obviously know how to paint nails, so I won't continue with this whole 'will she, won't she' tone but anyhow, I carefully applied a coat of this gorgeous, royal blue colour to my nails. The brush is long and thin, perfect for someone like me who has unpleasantly long and bony fingers. Ready to apply a second coat, which has pretty much become a ritual of mine as two coats is 9 times out of 10, an absolute minimum, I stopped. A second coat would be unnecessary, as the colour was so opaque/beautiful/satisfying already. So, after three-four minutes given for optimum drying time I applied a top coat and smiled. Pretty nails in under ten minutes?! And for free?! You could say I'm an incredibly happy girl.